Neurodegenerative diseases are genetic and/or sporadic disease conditions characterized by progressive nervous system dysfunction involving the atrophy of central or peripheral nervous. The neurodegenerative diseases (NDs) like Alzheimer’s disease (AD), Parkinson’s disease (PD), Huntington’s disease (HD), and amyotrophic lateral sclerosis (ALS) are responsible for more than 1% deaths and more than 2% disabilities of total world population. These NDs also impart huge socioeconomical burden on families of patients. NDs involve complex etiology with different genetic and environmental factors. The understanding of the etiology may help therapists to develop new effective symptomatic and preventive (genetic) treatments for NDs. The development in Human Genome Project helping to detect the genetic mutations causing HDs and advancement in gene and genome therapy are being implemented to correct these mutations. In this chapter, Alzheimer’s disease (AD), Parkinson’s disease (PD), Huntington’s disease (HD), and amyotrophic lateral sclerosis (ALS) are discussed in detail for their pathophysiology, etiology, and latest symptomatic and preventive treatment. 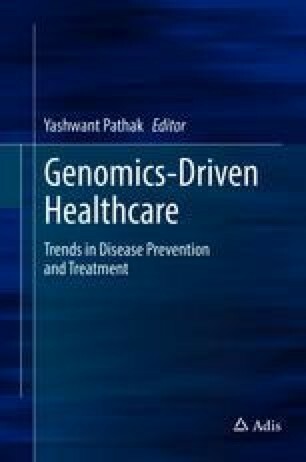 In preventive treatment, the latest achievements of the gene and genomic therapies are discussed.